South Korea’s capital for more than 7 centuries, Seoul has approximately 10 million inhabitants in an area slightly bigger than Chicago, making it one of most densely populated cities in the world. It stands out on the world stage with leading companies such as LG, Samsung and Hyundai; and yet while visiting it, get ready to go from the modern to the old when crossing a street, to be dazzled by the design and architecture wonders, and enjoy the vibrant life of one of the world's major metropolises. In this post, you will find the best ways to enjoy everything that Seoul offers. Seoul houses some of South Korea's historic buildings, among them the Five Grand Palaces – imposing building complexes, rich in detail and located in the heart of the metropolis, an imposing contrast with the skyscrapers and modernity surrounding. The palaces provide evidence of the country's feudal past, as all were built during the last royal and imperial dynasty, which reigned between the 14th and 19th centuries. If you do not have enough time to see all 5 palaces – Gyeongbokgung Palace, Changdeokgung Palace, Changgyeonggung Palace, Deoksugung Palace and Gyeonghuigung Palace – focus on the first two, which are the architectural and cultural jewels of the city. The Gyeongbokgung Palace (Palace of Shinning Happiness - entrance 3,000 won) is the main and largest of the 5 palaces. The palace was originally built in 1395 and underwent several periods of destruction and reconstruction, including during the Japanese occupation during WWII. With a cinematic view of the mountains of Bukansan, the palace could have been a city by itself, with its more than 500 buildings therein. Spend a few minutes admiring the lotus pond, where the banquet and entertainment hall used to be. If you would like to see the change of guard ceremony, check the days and times in advance. The Changdeokgung Palace (Prospering Virtue Palace - entry 3,000 won) is the only one of the 5 palaces considered a World Heritage site by UNESCO. Inside the palace is the Secret Garden, which has over 50,000 species of trees and plants and can only be visited with a guided tour (for 8,000 won). Check tour schedules before visiting. Namsan Park is a public park and a great outdoor option in Seoul, where you can take a walk for hours surrounded by trees and nature. 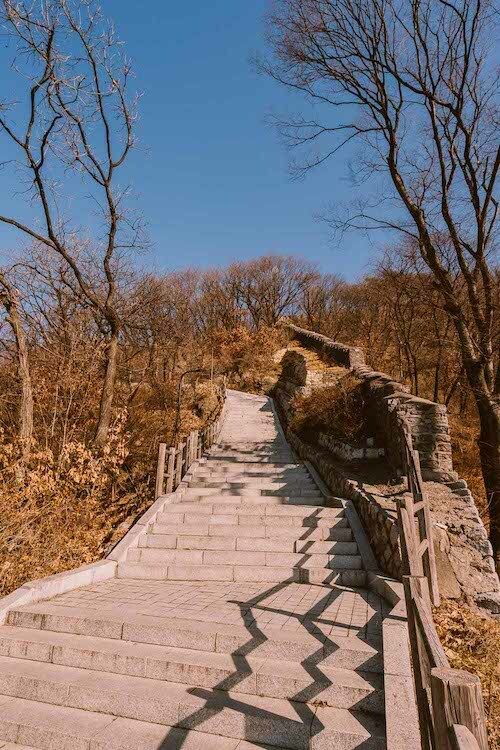 The park is located on a mountain, and as a result you can have an elevated view of the city and pay a visit to the N Seoul Tower (entrance 10 000 won) to see Seoul from even higher at the top. PS: If you do not want to climb the park stairs to the N Seoul Tower, you can take the cable car (for 7,000 won, one way) and then walk down the steps. The Bukchon Hanok village is a very classic place in Seoul, preserving more than 600 years of history in its alleys with traditional Korean houses. Take a calm walk and some time to check out the cafés, art galleries, shops and restaurants in the area. In addition, when walking through the small streets, it is very common to see people in traditional Korean clothes (if you want to get in the style yourself, you can find shops around the village renting the costumes for about 10 000 won). 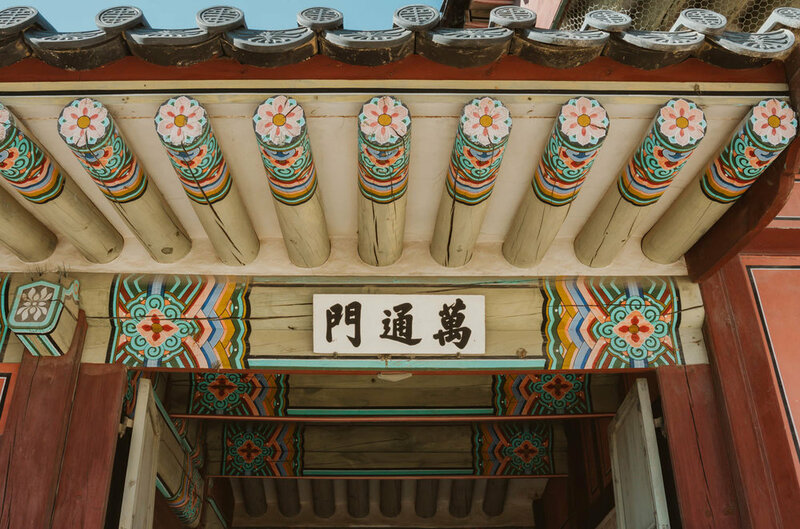 Good to know: Bukchon Hanok village is between the Gyeongbokgung and Changdeokgung palaces, so it's worth visiting on the same day as one of them (or both, if you have enough time). 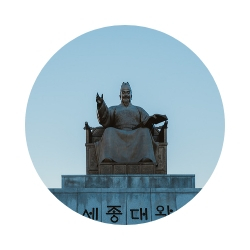 You cannot visit the neighborhood Gangnam and miss the famous statue of the singer/rapper Psy, who consecrated the classic Gangnam Style and put the k-pop in the ears of the West. While you are there, take the opportunity to visit the Starfield Library - a unique public library full of book towers, work areas for people and even an escalator - inside the COEX mall (a good place to shop, if you're interested). 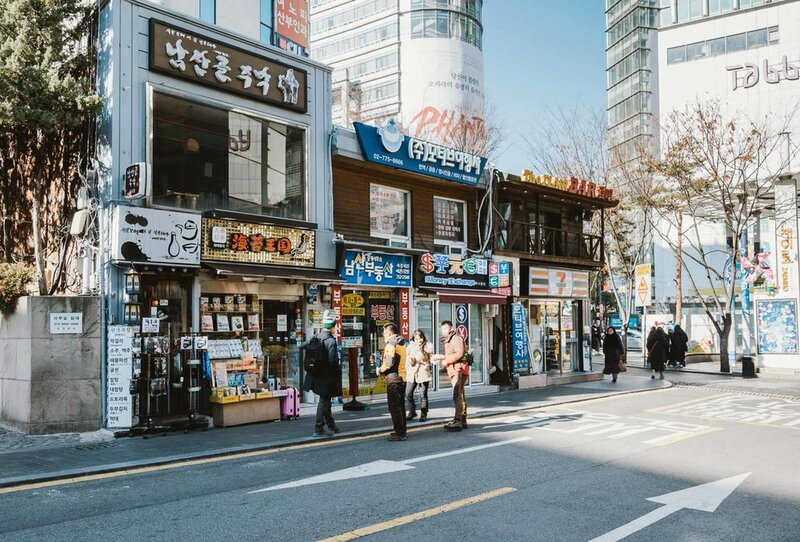 When it comes to spending your wons, head over to Myeongdong and blow them at the endless shops there. You will find numerous brands of cosmetics, sporting goods stores, footwear and clothing, and you will often see repeat shops such as Missha, Laneige, Tony Moly and Etude House, that dominate the beauty scene. It is also common to win gifts when you spend certain values, so take the time to enjoy it. Between shopping and sightseeing, take some time off and visit a classic Korean teahouse. In the Insadong area (a very popular area full of traditional Korean arts, crafts and restaurants) you will find several places to enjoy some tea. We went to 47th street, which has a very traditional style, where you can drink tea sitting on the floor. Enjoy: if you are in Insadong and get hungry, visit the Buk-chon son madu restaurant, which means hand-made dumplings. It is not anything fancy, it's actually opposite of chic, but it's authentic and all meals are fresh, made right in front of you. Bringing a futuristic design to Seoul, Dongdaemun Design Plaza (DDP) offers a stunning architecture. The entire building is lined with aluminum plaques, looking like a gigantic abandoned spaceship. It is worth visiting during the day and at night to see how the light impacts the look; and there you will find shops, museum and art galleries. When visiting Seoul, one of the things you need to do is try out the famous Korean BBQ. Along with succulent cuts of beef and pork, it comes with kimchi (chard or cabbage that undergoes a fermentation process along with other vegetables and has a slightly spicy flavor), salads and lettuce leaf’s. (The correct way to eat is to put the grilled meat inside the lettuce, roll as a package and then eat). To savor the dish, I recommend Wangbijib restaurant, in Myeongdong, where the staff prepares the barbecue for you, who will only have to worry about tasting. Ginseng is a very popular plant in South Korea because of its medicinal properties, and in Seoul you can buy it in street stalls, subway stations and shopping malls. Koreans believe that samgyetang - the ginseng chicken soup - avoids diseases, being ginseng one of the reasons. It is a popular meal to keep warm during the winter and to replenish lost body fluids in the summer. To try the delicacy, you can go to Korea Samgyetang, known as the oldest restaurant in Seoul to offer the dish, and Tosokchon, which bears the reputation of being the best to offer the food. Not to miss: when going to any restaurant in Seoul, make sure to try South Korea's distilled drink – soju - which is sold in 360 ml bottles and drank in shot glasses. The best area to stay in Seoul is Myeongdong. There you will have access to the subway, shops and restaurants. Did you like the post and are planning a trip to Seoul? 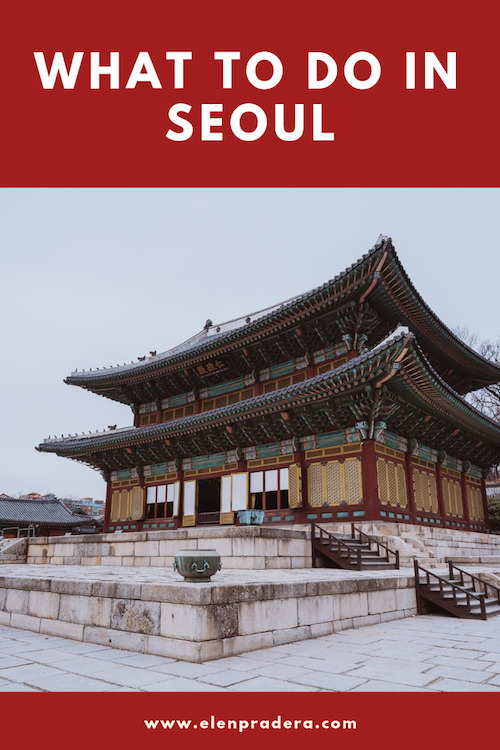 If so, take the time to read the practical information to visit South Korea’s capital, including visa, currency and how to get around the city.